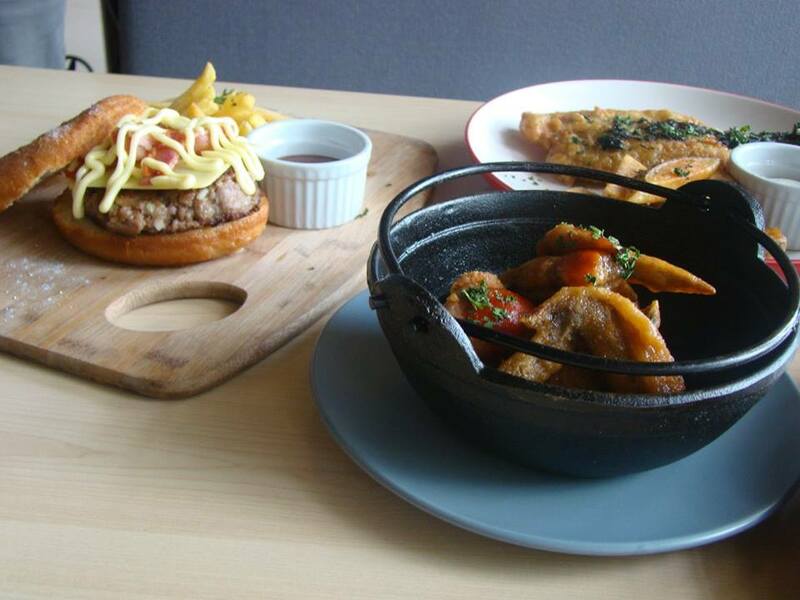 If you like to unwind after a day's work over good food and booze, Splice Resto Bar is a nightlife hub to dig into. Located at the bustling entertainment and lifestyle capital in the Greenfield District area, it offers affordable staple, comfort bar food and fancy fares that are satisfying to guests. 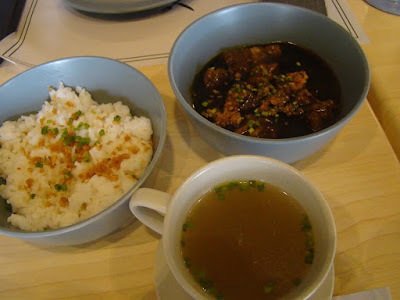 Last week, Splice Resto Bar invited us to savor the food that they offer. along with the other zomato foodies, I got to sample fares from their well-curated list of European-Filipino fusion of appetizers, pasta and main dishes. For starters, we had Sriracha Butter Wings plus the Parmesan Fish and Chips. The chicken wings were a subtle version of the American buffalo wings they usually serve in a bar. I loved that fact that the Sriracha Butter Wings was rich in flavor and that the spiciness level is tolerable. 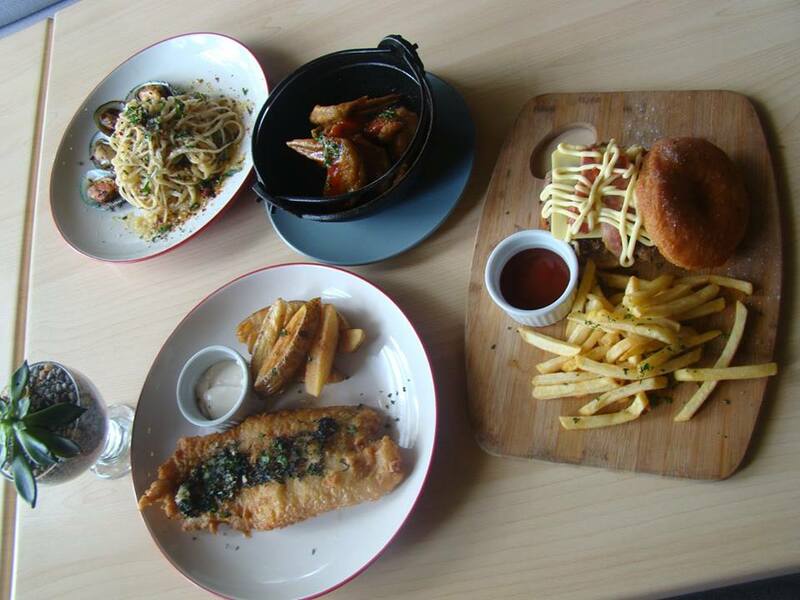 Splice Resto Bar's take on fish and chips is also good. 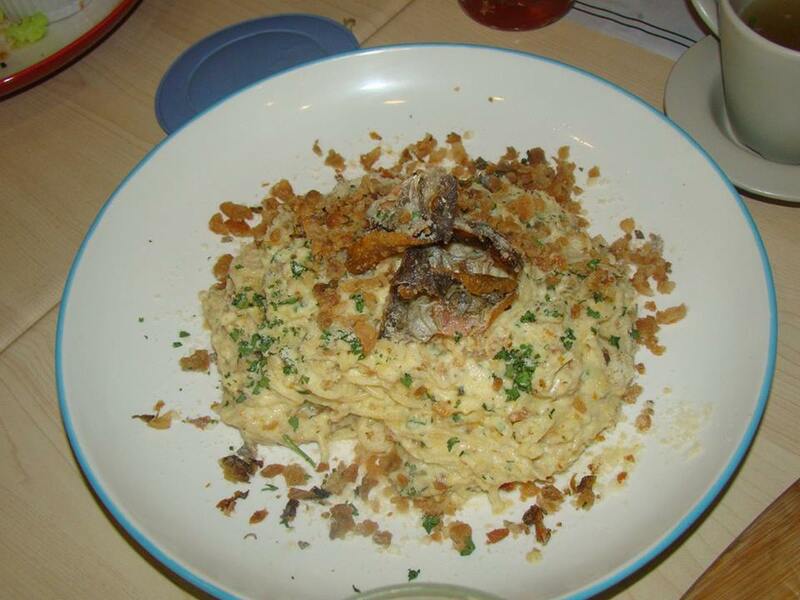 The dory remains deliciously moist under its crisp batter. The potato wedges that comes with it were prepared just right! It all tasted well that there seems to be no need for a dipping sauce. I took fancy on their Homer Doughnut Burger. They used their own glazed doughnut instead of the usual burger bun. 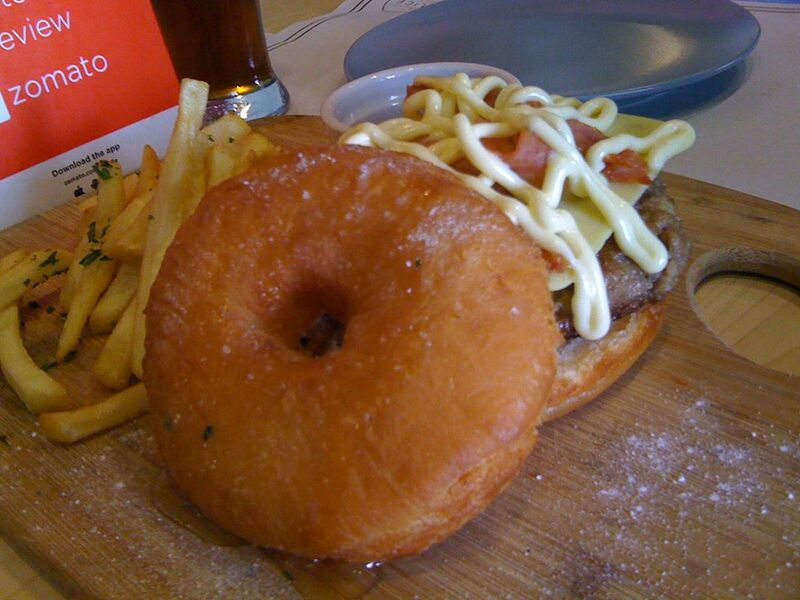 I love the blend of its thick beef patty, bacon, and Japanese mayonnaise. It was served with French Fries on the side. I find that they are particularly strong on meat dishes. Their Beef Pares plus 8-hour slow-cooked Pork Belly variations are moist and tender. The pork belly slabs were really awesome. 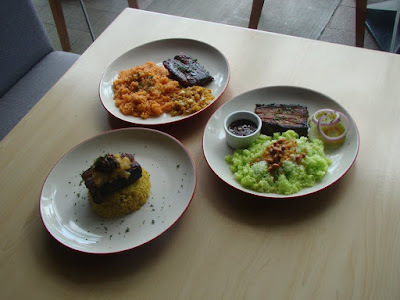 Splice gives you the option to choose from the rice variants (Italian, Buko Pandan, Dirty Rice) to go with your order. My favorite was the dirty rice (pineapple-flavored one). 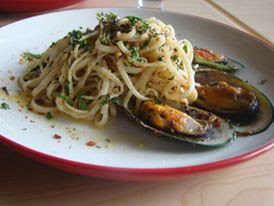 We had Tequilla Mussels Linguine and Chicken Skin-Danggit Carbonara for pasta. I'm partial to cream-based ones so i took a liking for carbonara. The crispy dangit-chicken skin do really tastes at par with the usual bacon carbonara i'm used to. It was so good that I help myself to second servings. If you crave for burger and a bit live music, this is the place for you. Acoustics and entertainment repertoire on late night hours do get their crowd going.